January is about to start and with it the coldest part of Winter in the Basque Country. Winter comes here with nice snow and Cider Season! 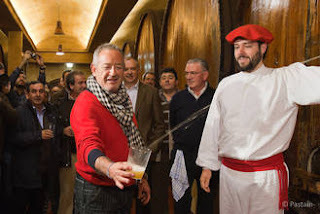 At the beginning of January "Txotx" is made in many Cider houses to taste the first ciders of the year. 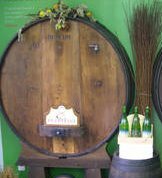 Traditionally in the Basque Cider Houses (Sagardotegi) people carried their own food to eat. Nowadays it has become an area with a small number of food to choose from (normally menu is limited to two main dishes: a huge ox fillet and a cod dish with a desert of cheese and quince jelly. But the best is that you can drink as much Cider as you want. Isn't that great? Well, it is better if you have a friend who does not drink to drive back home!